Welcome to the July 2011 edition of the Using Mind Maps Newsletter; The Newsletter that helps you with using Mind Maps in your daily life. Can you believe that the first half of the year is already over? Are you on track with this year's goals? Whether you believe in New Year resolutions or not, it is the wise person that sets goals and plans to achieve those goals. This month's topic focuses on Learning in the Workplace and shows how important learning is, whether you are a beginner, or a 'seasoned pro'. Our approach to use Free OpenSource Mind Map Software (Xmind) continues to prove successful. It puts Mind Maps and Mind Mapping into the hands of many more people. Having a good knowledge of English Grammar is essential for all learners, if your learning medium is English. If English is not your mother-tongue, then this is a great guide for you. The Interactive Mind Maps allow you to add your own examples and thoughts, making you the centre of the learning process, which is the best way to learn. The first of our Shakespeare series, which allows you to learn Shakespeare in a unique, holistic and visual way. if you are a subject matter expert and think you have the ability to produce a set of Mind Maps on your subject, we can sell it and market it for you using our Associate Author Program. If you are interested, please feel free to drop us a note using our Contact Form and we will get back to you with the details. Take advantage of our growth and expertise in the Mind Mapping and Learning marketplace and start your own online business with hardly any capital outlay. We welcome any feedback and comments. Please do this via our Contact Form. We will really appreciate your comments, as it enables us to improve both our free and premium products. 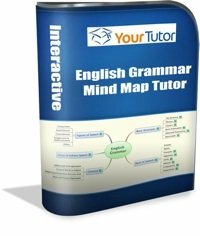 Our Blog, www.mindmaptutor.com, keeps you updated with what's happening so that you can learn faster and easier with almost daily updates. I experimented with a freehand Mind Map drawing on my iPad, using black and white and then colour. Note the method that I use to differentiate branches on the black and white version. Despite overwhelming evidence that using non-linear methods and both sides of the brain can stimulate creativity, memory and problem solving, Mind Maps are still not prevalent. Part of the Mind Maps at work series, enabling you to get ahead and stay ahead in your career. Overview of a good article linking success and Creativity. The last two months focused on a Mind Map Learning Portal and Mind Maps at Work. 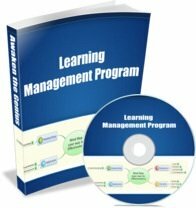 This month, I would like you to take a look at combining the two concepts by creating a Learning Portal and focus on your learning process at work. Whether you are starting your career, or a 'Seasoned Pro', lifelong learning in the workplace should be a part of your strategy, as we are living in the most rapidly changing period the world has ever seen. I demonstrated in a recent article on increasing your net worth, how easy it is to become a leader in your field. Once you are a leader, it is always a good thing to teach others. Stephen R. Covey, in his book, the 8th Habit, says that the first seven habits were to help you find your own voice, the 8th Habit is to help others find theirs - you do this by teaching. The use of a Mind Map Learning Portal - putting one together for yourself, and then helping others to do the same - will establish you as a leader in your field over time. By constantly learning and teaching others, your career will flourish and you will be among the leaders in your field. We are in the process of upgrading our E-Learning Website. Keep a look out for online training and courses to help you learn faster and easier. Till next time... Continue learning and teaching in the workplace!